The opening of the Crimean bridge means Russia's readiness to violate international law. This is reported in a statement of the US State Department. "Russia’s construction of the bridge serves as a reminder of Russia’s ongoing willingness to flout international law," the statement said. 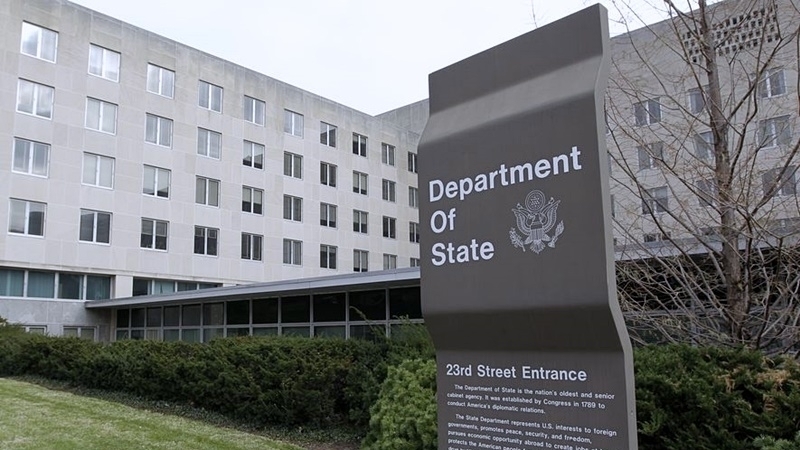 The State Department stressed that the invaders open the Kerch bridge without the permission of the Ukrainian government. Furthermore, the State Department notes that the opening of the bridge impedes navigation, since the bridge limits the size of ships that can pass under it. QHA reported that in the annexed Crimea the Kerch bridge was solemnly opened with the participation of Russian President Vladimir Putin. The head of the invader- state got behind the wheel of a truck "KAMAZ" and headed a column of trucks. Previously, the EU condemned the construction of the Kerch bridge. The statement of the EU representative said that having built the Crimean bridge, Russia once again violated the sovereignty and territorial integrity of Ukraine. Representatives of Brussels stressed that the purpose of building the bridge is further forced integration of the illegally annexed peninsula with Russia and its isolation from Ukraine.